Today technology and re-engineered processes have changed the face of the HR landscape. Organizations are now able to run their human resources function in ways they have never been able to before, resulting in both quantitative and qualitative improvements across their businesses. 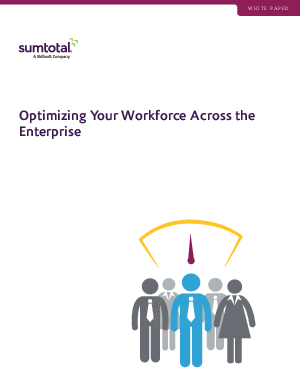 Read this white paper to learn how to optimize your workforce across the enterprise.